Analysts have long enjoyed the benefits of Merlin Microseal septa for their traditional and SPME fiber injections—and now, you can switch to these innovative septa for your SPME Arrow applications, too! The advantages of the Merlin Microseal septum include elimination of septum coring, longer life, and consistently low insertion force for injections. The Microseal septum incorporates two separate sealing mechanisms. These sliding seals eliminate septum coring and the resulting accumulation of septum crumbs in the injection port liner. The Restek PAL SPME Arrow is a larger-diameter solid phase microextraction (SPME) probe with a rugged construction that ensures longer life, higher sample throughput, and better sensitivity over traditional SPME fibers. The Merlin Microseal for SPME Arrow is available for many popular instruments and both Restek PAL SPME Arrow sizes (1.1 mm and 1.5 mm). 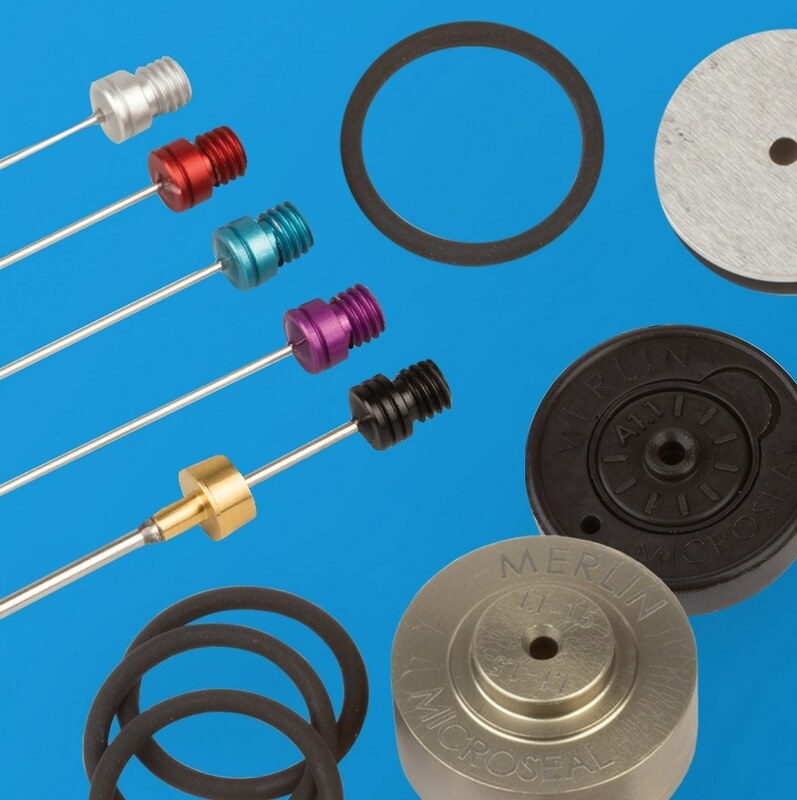 Installation is simple, requiring no modification of the injection port; although, due to the relatively large diameter of Restek PAL SPME Arrows, you must install an instrument-specific GC inlet conversion kit from Restek prior to use. In addition to these new septa for SPME Arrow applications, Restek also offers Merlin Microseal adapter kits and septa for use in general-purpose (3 to 100 psi), low-pressure (1 to 45 psi), and SPME fiber (3 to 100 psi) applications.